Tharoor was injured during a temple ritual called Thulabharam. The chain of the weighing scale on which he sat snapped, causing the accident. 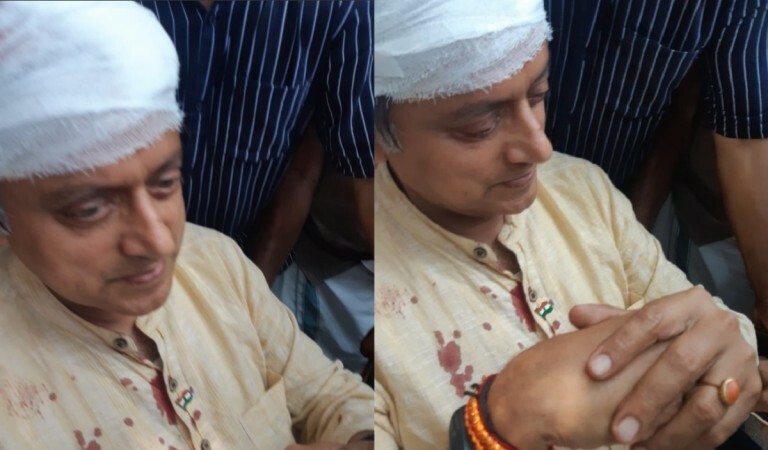 Congress stalwart Shashi Tharoor was injured while performing a ritual at a temple in Kerala on Monday. The two-term MP from Thiruvananthapuram, who is locked in an intense three-way fight against the BJP and the CPI, was performing 'Thulabharam', a popular temple ritual. Tharoor sustained injuries on his head and legs. He ended up having as many as six stitches on the head, local reports said. Thulabharam is a ritual at Hindu temples in Kerala, during which the devotee sits on one side of the weighing scale. The other side is loaded up with offering such as sugar, jaggery, plantains etc. It's a symbolic offering of oneself to the deity. 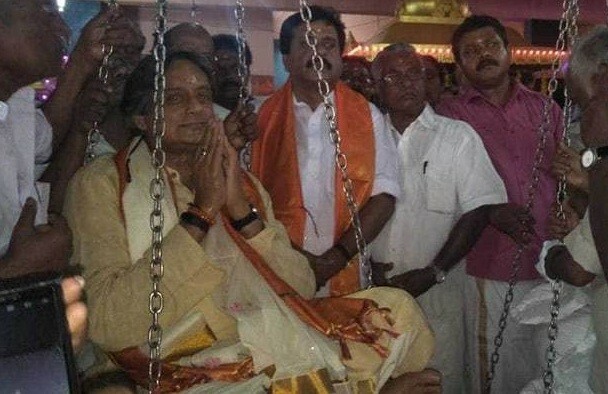 Tharoor, the UDF candidate, was performing the ritual at the Gandhariamman Kovil in Mele Thampanoor in Kerala's capital on an auspicious day when Kerala is celebrating the festival of Vishu - the start of the Zodiac New Year when the chain of the weighing scale snapped. Tharoor fell on his head and sustained injuries. According to reports, Tharoor was immediately taken to the General Hospital in Thiruvananthapuram by his supporters and was given medical attention. It is reported that he will be shifted to KIMS Hospital shortly. The hospital compound has been surrounded by party workers and supporters.